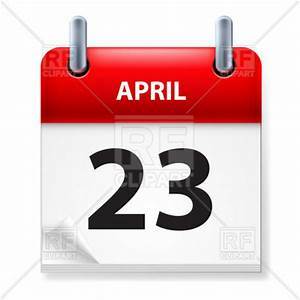 What’s So Special about April 23rd? It’s Lover’s Day, another day for romance and perhaps…marriage!? When you’re in love, every day is Lover’s Day. Sometimes, however, shy and timid people need a little incentive to express their love or to take a “leap”. Valentine’s Day is one such opportunity. Lover’s Day is yet another chance at love. Some people plan their weddings on Lover’s Day. It certainly is an appropriate date. So, what do you do on Lover’s Day? For starters, express your love to that special someone in whatever way you feel is appropriate. It doesn’t have to be gifts. We suggest you cap off this day doing what lovers do…………………..
Our research did not find the creator or the origin of this day. In researching this day, we found endless references to Lover’s Day. Many were promotions by companies like hotels and travel agencies held on various dates all year long. We also found many many specific days for things like Quilt Lovers Day, Horse Lover’s Day, Cheese Lovers Day, Pet Lover’s Day, etc. 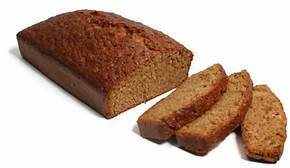 National Zucchini Bread Day is a day to enjoy Zucchini bread. In researching this day, we first asked ourselves “why hold this day in the spring, when this prolific garden squash is not in great supply?” The answer quickly dawned on us….they hold this at a time when you are not sick of all that zucchini. In the summer months, the prolific zucchini plant produces more fruit than gardeners can use. As summer progresses, everyone becomes sick and tired of the eating zucchini. But, the harvest goes on, day after day, after day. By mid-summer, gardeners are resorting to all sorts of tricks to get rid of the mountains of fruit produced in their gardens. Some even stealthily leave zucchini on neighbors’ doorstep in the middle of the night. So here you are in the month of April. Zucchini finds its way in small supply to grocery stores in your area. Now, you’ve got the urge for zucchini bread. Hence, the creation of this day in April! If you are a gambler, you will just love this day. 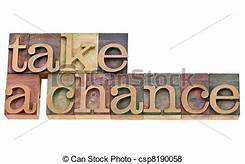 Today is “Take a Chance Day”. This sounds pretty risky (but fun) to me……..
Life is filled with risks. To get what you want, sometimes you have to take a chance. And, today is created to do just that. Today is the day to take a chance on virtually any object or goal. Will it be love? will it be luck? Or, just lollipops? We hope you fully participate in this day, and that you attain everything you seek. So go ahead and take a chance. As they say “Nothing ventured, nothing gained”. If you are in love and a little afraid of taking the next step, perhaps today is the day to take a big leap. After all, it’s somewhat coincidental that today is also Lover’s Day. Note: If you are going to “take a chance” at winning the lottery, we suggest you only buy one ticket. After all, everyone is going to take a chance today, so the odds are really low. World Laboratory Day celebrates the place where great discoveries, inventions, and medical cures are born. It’s also where mad scientists dwell. Perhaps the most well-known thing to come out of a laboratory was…Frankenstein! Countless ideas, concepts, and theories are tested in laboratories. Most of the world’s greatest medical treatments and cures were discovered and perfected in laboratories, after endless study and testing. Products coming out of laboratories have helped and aided mankind in many, many ways. Celebrate World Laboratory Day by learning more about how they work. 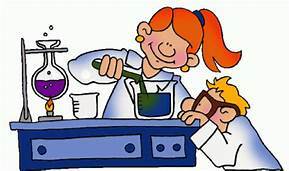 If you chance across a laboratory worker (or mad scientist) today, wish them a Happy World Laboratory Day. http://arcadiawindber.com/wp-content/uploads/2018/04/April-23rd-Clip-Art.jpg 300 300 Windber Arcadia Windber Arcadia2018-04-23 14:53:332018-04-23 14:56:34What's So Special about April 23rd? Volunteer Appreciation Day! Happy Monday!